Some successful professional service companies employ aggressive digital marketing; others do not. We have partnered with a variety of companies that allocate their marketing budgets and resources differently, but regardless of how they employ digital resources, a strong digital persona is key to an organization’s greater marketing strategy. Aside from conveying information, a strong web presence is key in communicating your brand’s value to prospects and customers alike. We guided Newmeyer & Dillon through our brand identification methodology to thoroughly understand how they want to convey their brand online, as well as what values they want to represent through visual and written media. What resulted is a visually appealing and intelligent web presence that speaks to their professional excellence and Southern California roots. 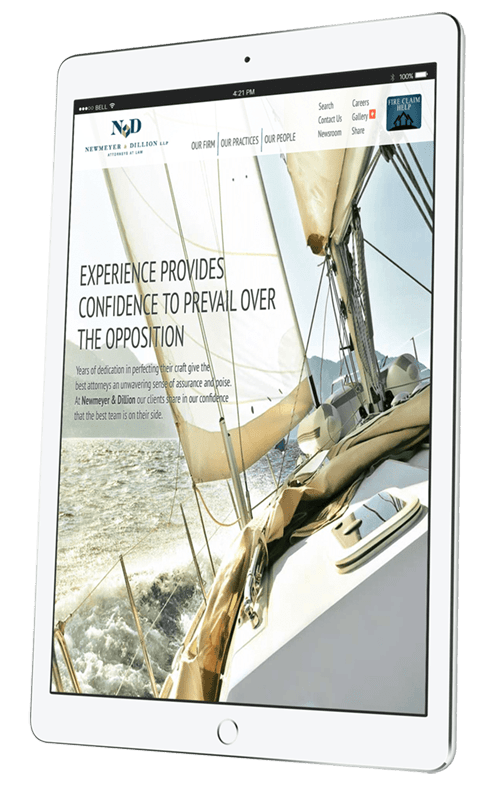 "McAdams Group worked with us diligently, efficiently and cost effectively to craft a digital brand presence that authentically conveys our core identity and values and helps us connect with clients."